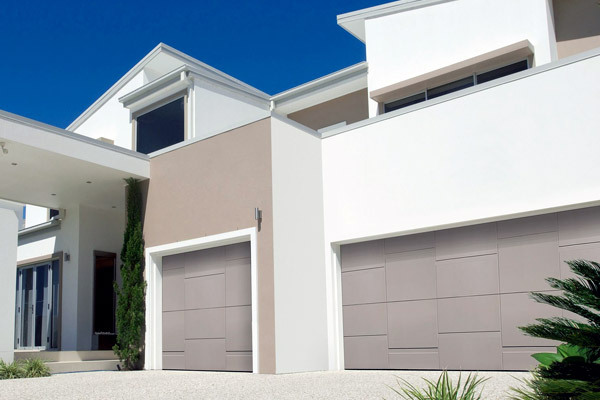 The Only Sectional Garage Door! SECURLAP is the only sectional garage door, overhead door, without ceiling tracks, without springs, with a double counterweight mechanism and the operator embedded in the head-bar. It is the ideal product to enhance the garage and allows space optimization due to reduced internal dimensions. SECURLAP is born from the commitment of Silvelox to combine technology and beauty for the residential market, providing attention to the smallest details and an extensive customization options, unlike the traditional sectional door that is born to meet the needs of commercial and industrial buildings. SECURLAP, like all Silvelox products, is a genuine Made in Italy example that embodies quality, design and technology. Silvelox doors can be realised in a wide range of different designs and aesthetics, in order to harmonise with the architecture of the building where they are installed. 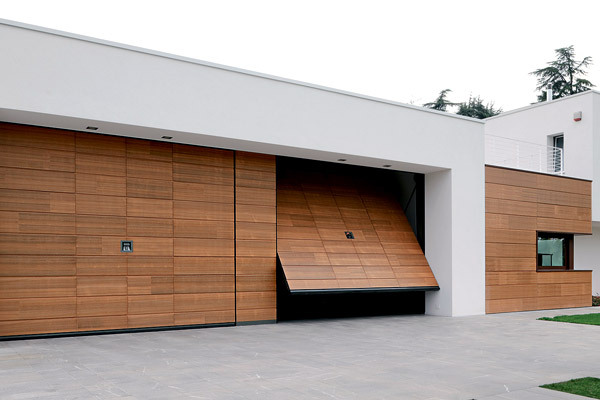 Silvelox proposes 19 models of garage doors, which are presented in our catalogue. It is also possible to add bespoke versions drawn on the base of the customer’s personal ideas, which are called CDA, and it is possible to have doors ready to be plastered or for the application of an external covering supplied or requested by the customer. Each door is specifically produced according to customer’s demands and requests, and a wide range of designs, models, finishes, woods and colours is available to ensure the door complements sympathetically the property and its immediate surroundings. It is also possible to match the garage door with the entrance door in order to create a harmonic combination of colours and lines.